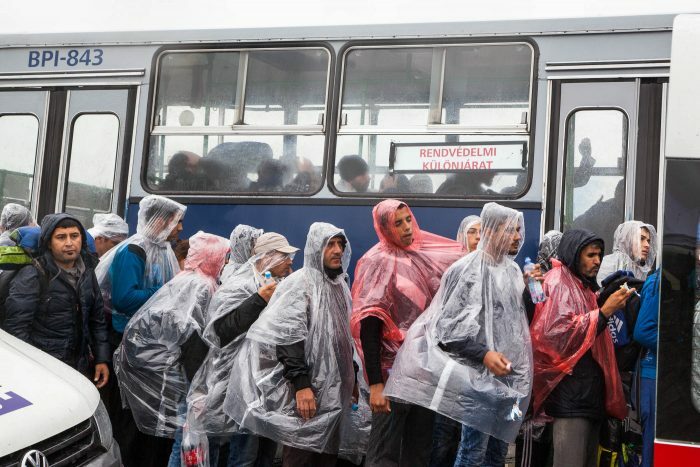 Röszke, Hungary — Through the grey drizzle, shuffling groups of refugees trudged along the disused railway line that separates Hungary from Serbia at the small town of Röszke. They made the grueling journey last Thursday in the wet and cold. But at least they had made it: On Monday afternoon, the Hungarian government sealed the border with Serbia in the latest move in the Refugee crisis in Hungary. Every day for the previous month, thousands made the crossing on their way to Western Europe. Those that did so last Thursday were among the last to make it through freely. And even for those who passed through before the border closed, Hungary offered a less than warm arrival. They made the hour-long walk from Serbia in the rain. Many walked in worn shoes and shorts, covering their heads with plastic bags and blankets. Most were unequipped for the inclement weather. The rain compounded with the distance to make an already gruelling journey harder. A cluster of tents and transit vans made up a small reception centre. The ground had been churned up in the rain and was now a muddy bog. A few small pop-up tents provided some shelter but there were few places to sit out of the mud and rain. Most stood in huddles, discussing their next move. Hungary, despite being an EU member state, is a transit country for the majority of people making the journey. It is in sharp contrast to the likes of Germany and Sweden, which have announced automatic refugee status for Syrian arrivals, or other EU states that are now hosting many thousands. Hungary has a rejection rate for asylum that is close to 92%. For this reason, all arrivals in the country are desperate to move on for fear of being deported. “This is a tragedy, seeing it like this,” says Tariq, a British man from Bradford who rented vans in the UK with a group of friends and drove for two days to the Hungarian border with supplies. “We thought about food, but clothes never crossed our minds,” he said, as he surveyed the wet bedraggled travellers coming through the border. By mid-afternoon last Thursday, the government buses ferrying people away from the desolate border were leaving half empty. The Hungarian police were trying to encourage groups of refugees to board. 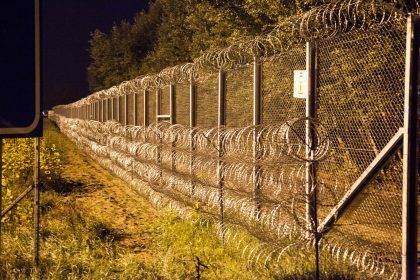 However, Hungary had acquired a poor reputation among many for detaining migrants and for poor treatment in government camps. “Where do the buses go?” asks Muhammad from Damascus. “I don’t trust them, they will take us to a camp and take our fingerprints then we can’t go to Germany any more. No, we will go ourselves,” he says. As well as the high rejection rate, the overwhelming fear among many is of being taken to one of the ‘reception camps’ around Röszke. Closed to the press and observers, migrants are held for days in what many say are terrible conditions. Categories: Articles, In Pictures, and News. 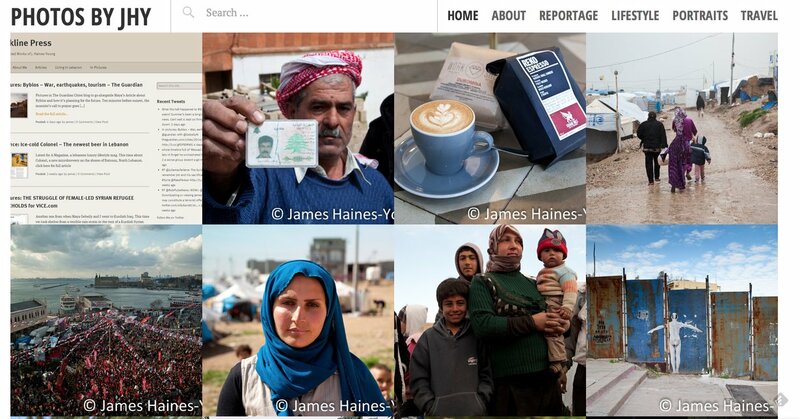 Tags: Al Arabiya, Balkans, EU, Europe, Hungary, pictures refugees, rain, refugee, refugee crisis, and Serbia.